subject March 30, 2013 great interaction! Philippine holy week is March 27 to March 31. 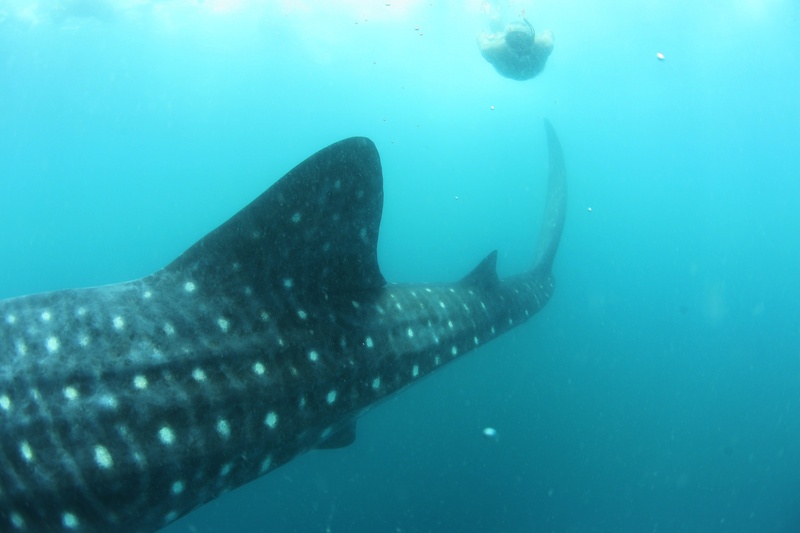 Today my guest saw and swam with 5 different whale shark in afternoon interaction. One is big ( around 8-9 meters) and not down of the water. Always continue swim on surface. And there is school of anchovies and small crabs. The BIO advise to me " you should be join whale shark interaction on tomorrow, probably lots of whale shark, because of plenty food and perfect sea condition"